This is a cheap model I ordered from emodels. 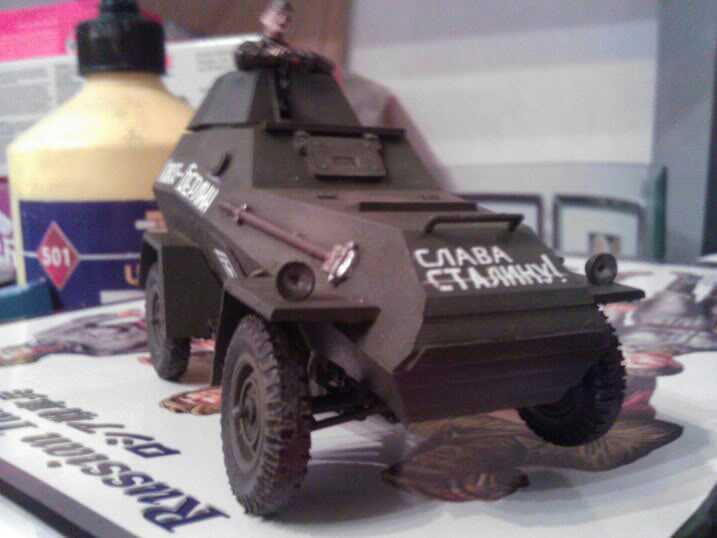 It was made by a company in Moscow and the quality of the kit is particularly poor compared to the likes of Tamiya, Revell and Airfix. Still it was a quick build and I don’t think it turned out too bad. I particually like the slogans in Russian covering the hull. The gunner is from a pack of Tamiya Russian tank crewman.